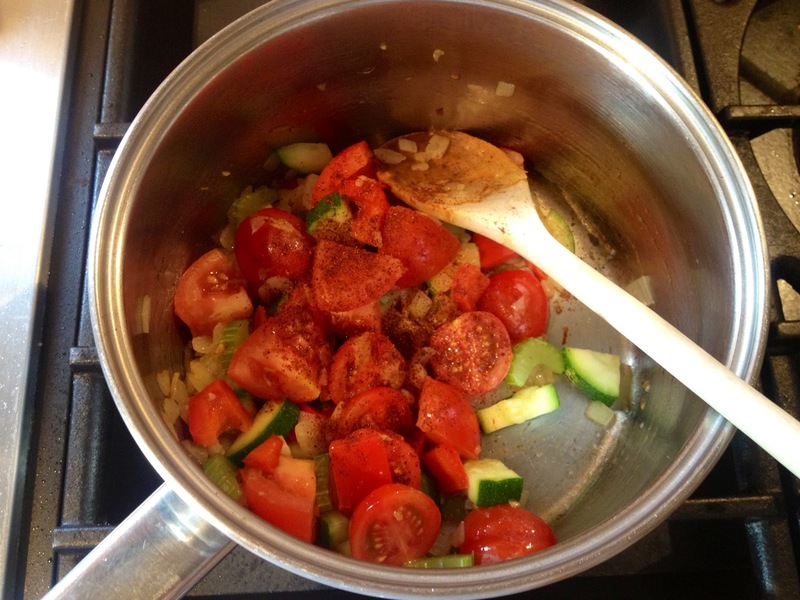 I was inspired to invent this recipe after Tyron cooked me a three course meal a few weeks ago and did an absolutely delicious tomato soup for our starter. So naturally I pinched his recipe and made a few adaptations. One of my favourite things about soups is how healthy they can be, this one is full of vegetables: a bowl full of health and goodness. 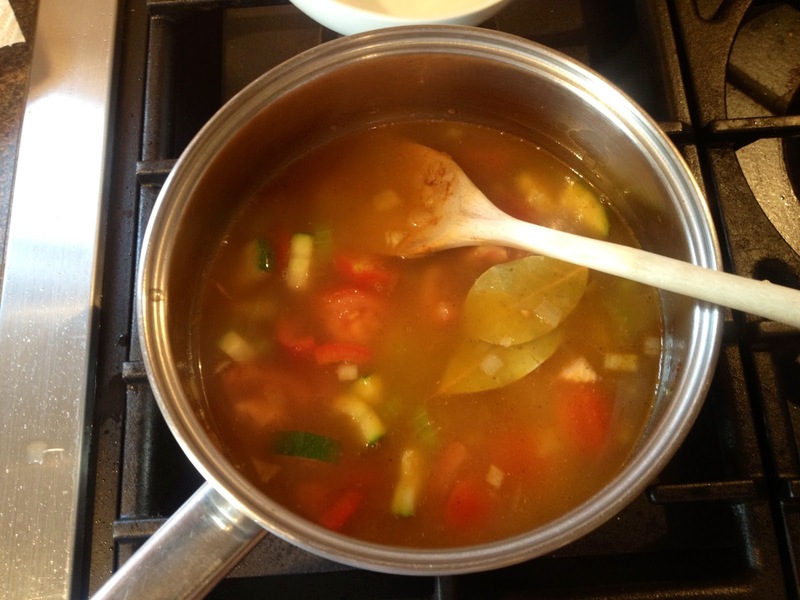 This soup makes a great meal on its own but can also be served as a starter. This recipe will make enough to serve two as a starter or one as a hearty meal. I’ve called it spicy as it contains chilli powder, but the amount I’ve used here gives a very mild heat. Adjust the amount of chilli powder according to your own preferences. 1. 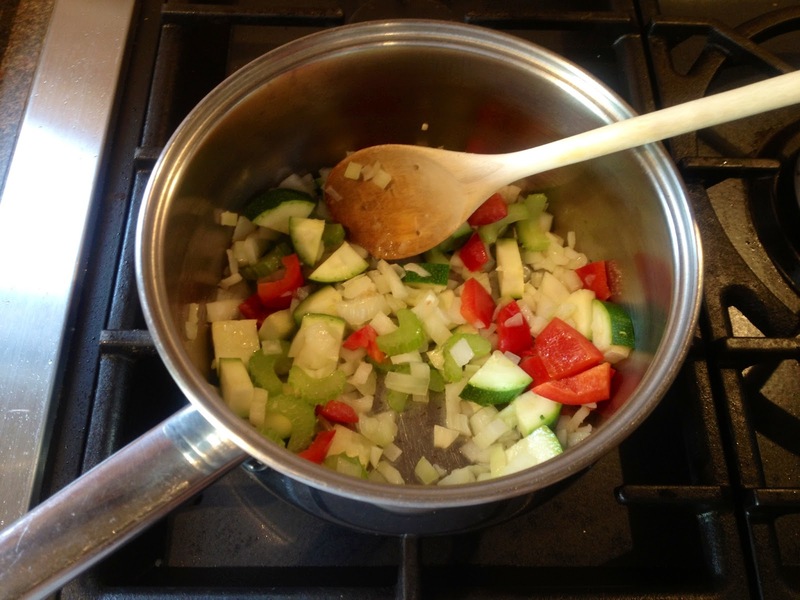 In a large saucepan gently fry the onion, garlic, celery, courgette and red pepper for approximately 5 mins until the vegetables have all softened. 2. 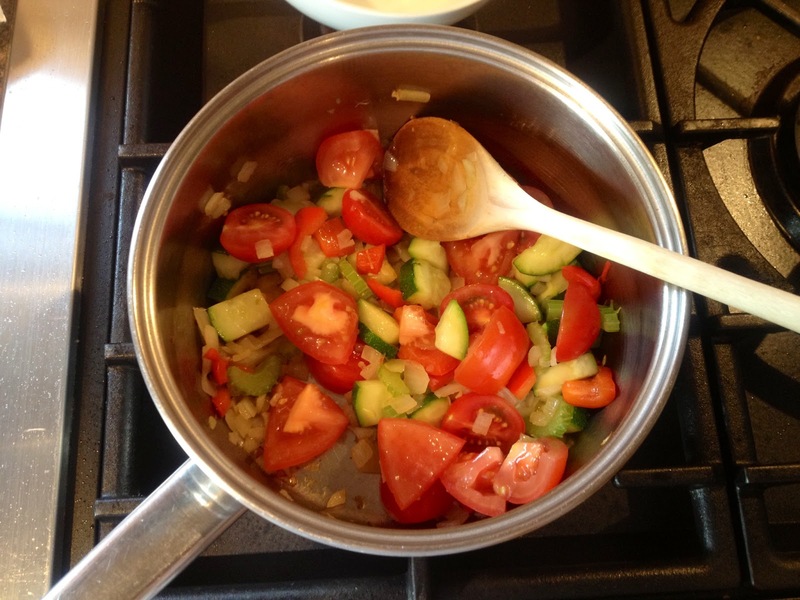 Add the tomatoes and the sugar and cook for a further 5 minutes until the tomatoes soften. 3. Sprinkle in the chilli and stir through. 4. Add the stock and the bay leaves and bring to the boil. 5. When the liquid begins to boil reduce the heat and allow the liquid to simmer. Cover and leave for about 15-20 minutes. 6. 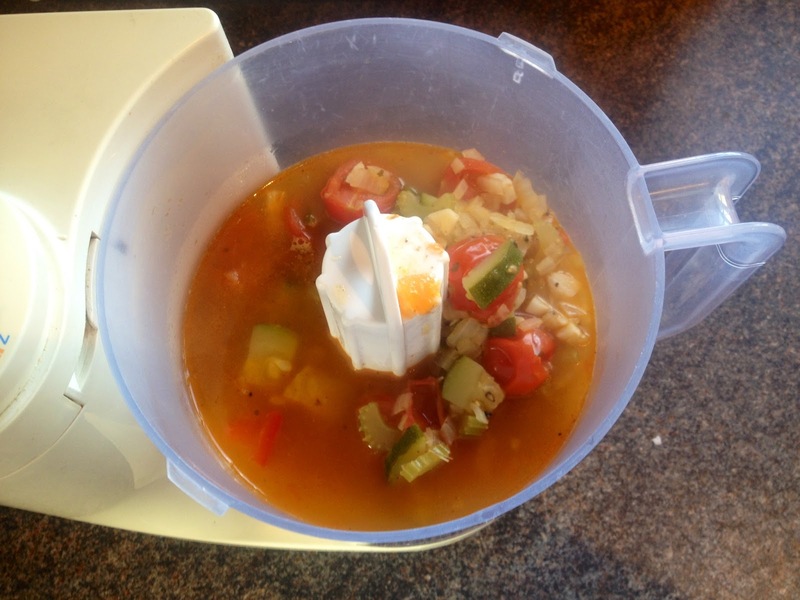 Remove the bay leaves and pour the remaining soup into a food processor/liquidizer. 7. 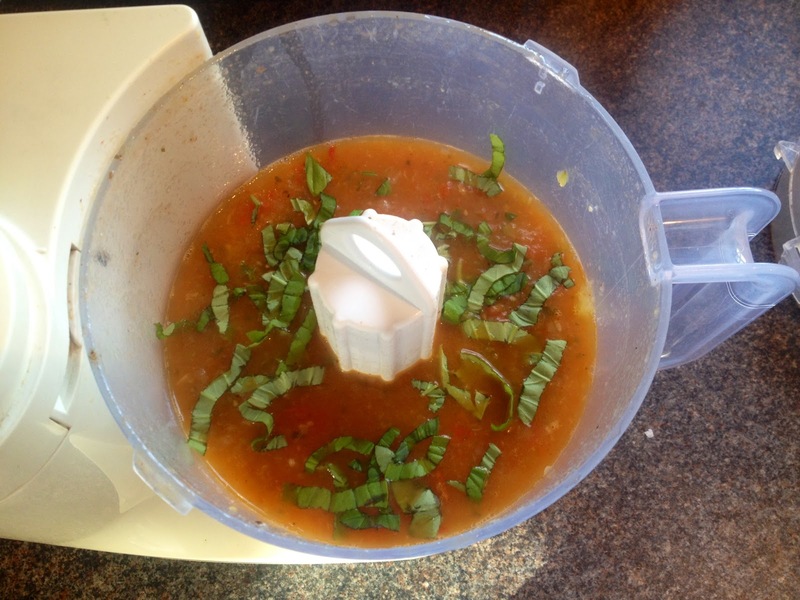 Blitz until the mixture is smooth and then add the basil. 8. Continue to blitz until the herbs are completely mixed in. 9. 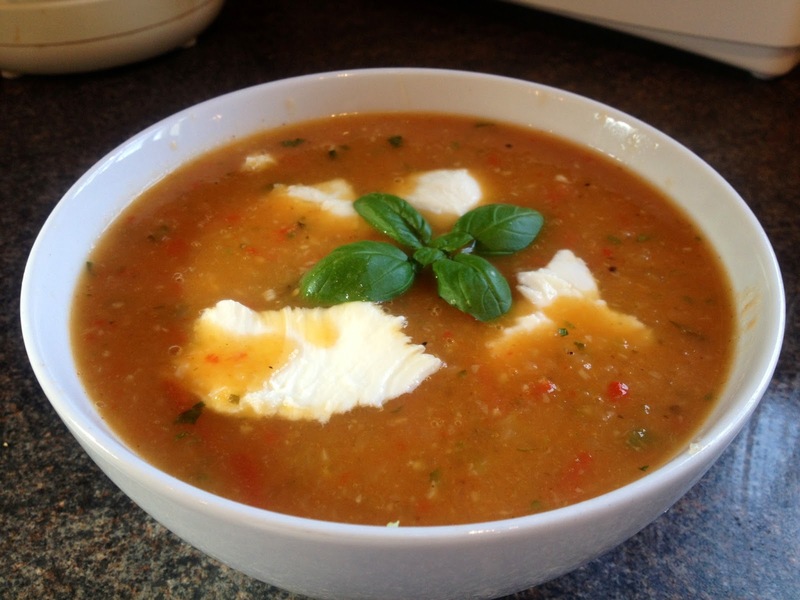 Tear the mozarella into chunks and serve floating in the soup.